Geneva Ives at RISMedia believes you should have a Facebook business page for your brokerage and we would tend to agree. Why wouldn’t you? Free advertising! In a recent article, she outlines some best practices for utilizing your business’s Facebook page. This area is one of the first things a customer will see on your page. Use it to provide information about your company, but possibly even more importantly, your contact information; phone, email, website, and address. Facebook allows you to see when your page followers are most online, so use that to your advantage when posting. Unlike some other platforms like Twitter, you should try to limit your Facebook posts to once or twice a day to avoid looking spammy. Note: not ALL your listings, just post some of your favorite or most attractive listings. Multimedia posts on Facebook tend to get significantly more interaction than text-only posts. Insights is free marketing research provided by Facebook. This tool tracks demographics, when users are online, when your posts are most effective, which posts are most effective, and some other useful information. Click here to read Geneva’s article. Video marketing – Where should you start? RISMedia recently published an article written by Homes.com contributor Erica Campbell Byrum that discusses five tactics for video marketing in real estate. Read the entire article – click here. Brokerage Website for Gary Greene Better Homes and Gardens Real Estate contains robust features designed to increase online visibility and attract more leads. Our award-winning web platform is designed to reach more buyers and sellers with our powerful online marketing tools. Fully integrated brokerage websites with IDX, CRM and map-based MLS search, and 3rd party lead integration. We’re proud of our easy-to-use technology that drives your online marketing so your can focus on building new relationships — and strengthening old ones. Please contact us if you’re interested in learning more about our custom brokerage websites and marketing services. Our solutions are tailor made for you! Offers 15 minute response to internet leads; Scrubs, transfers, then drips targeted information to consumers. Denver, CO (October 24, 2013) – One Cavo now offers Intelligent Drip Marketing for brokers and agents. The award-winning company’s flagship product, CORE, transforms web platforms into profit centers for brokers. CORE combines its industry-leading real estate CRM with a groundbreaking call center application. Using their Denver-based contact and conversion center, CORE beats the industry-wide average response time to internet leads and increases conversion rates 6-10%. One Cavo’s contact center operators capture crucial consumer information on behalf of the brokerage. A few examples of collected data includes: whether a consumer is a first time home buyer; if the consumer is moving up or moving down; and if they are pre-approved for a mortgage. With this information, One Cavo can drip marketing messages, tailored to the specific needs of each consumer they have spoken to. One Cavo initially interacts through live conversations with consumers before they warm-transfer them to a real estate agent. During this initial contact period, specific data is collected around the consumer’s individual needs. That data can then be used to build farms for specific content relating to the consumer. CORE’s platform has pre-populated high-visual, low word campaigns for its broker clients. For example, a brokerage can configure a campaign directed at first time buyers which is relevant to the first purchase of a home. Personalizing the consumer experience has become the key differentiator for brokerages and their agents. Most brokerages find it difficult to create and implement systems to quickly capture information that will enable them provide a highly personalized transaction experience. One Cavo is an outsourced lead response, distribution, incubation and reporting company based in Denver, CO that exclusively serves the real estate industry. Their flagship product, One Cavo CORE, revolutionize how brokerages measure their online marketing spending with all of the 3rd party lead generation sites, while increasing conversions. One Cavo has many top 500 Brokerages as their clients. For more information regarding lead response and conversion services visit www.onecavo.com. The real estate consulting and solutions provider transforms their clients into market leaders and proven profit centers. PCMS modernizes brokerage operations with powerful technology to help brokers and agents engage and respond online. Their management consulting strategies also provide the essential foundation brokers need to address emerging consumer and industry trends. PCMS is committed to driving positive change for the brokerage industry. 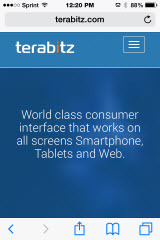 Terabitz revolutionizes the home buying experience with touch-based search for tablet users. Terabitz introduces HouseTouch℠, the scalable, responsive real estate search platform for homebuyers. The touch and tag-based search platform provides all data via one interface—and across multiple devices. HouseTouch℠ is designed for online house hunting—from both home and office, or while out exploring neighborhoods. The revolutionary search interface is completely touch, tag, and geo-based. Using HouseTouch℠, homebuyers search for available homes with the touch of a finger or the swipe of the hand. The feature-rich search platform enables consumers to “like” a property so it can make recommendations of similar homes. The HouseTouch backend also includes reporting analytics for brokers and agents. This powerful real-time data is based on homebuyers’ searches, measuring what attributes and properties are most important to a consumer. Brokers and agents can then improve their marketing strategies to reach more homebuyers. HouseTouch℠ home search analytics are easily integrated into multiple real estate CRM packages. HouseTouch is currently being rolled out to existing Terabitz clients. Zillow & Trulia: A Much Needed Kick In the Pants? Will Zillow’s Acquisition of Trulia Spur the Industry to Finally, Truly Innovate and Exceed Consumer Expectations? For years at PCMS Consulting, we’ve been talking about the fact that if not for inaction by the traditional real estate industry, there would be no Trulia and Zillow. Ten years later they control access to the real estate consumer. They’ve become the gate keepers. An uncomfortable place for our industry to be in. This is not only a much needed wake-up call but also an amazing opportunity for innovative, fearless, and committed brokerages to step up and show consumers that they too are valuable for a variety of important reasons we all know too well. The problem is the industry thought those reasons were enough… they are not. You do it by driving leads, engaging consumers with easy to use and robust websites that prove your local worth, actually getting back to consumers that fill out a web form, and maintaining those valuable relationships beyond the 3 – 6 months it takes to do a deal and collect a commission. Trulia and Zillow engage consumers when they are not even thinking about buying or selling real estate. Can we say that as an industry? The time is NOW to step forward and engage. Meeting and EXCEEDING consumer expectations, while not a piece of cake, isn’t inherently difficult in itself. Step forward and embrace an end-to-end marketing and sales strategy. An end-to-end (E2E) strategy that will deliver a better experience for consumers. It will increase your lead conversions, improve sales and reduce your overhead. So why not move forward and try? Leading web marketing platform provider, Terabitz, today announced the re-launch of several local real estate websites owned by long-time clients, CENTURY 21 Award of San Diego, CA (www.century21award.com) and Better Homes and Gardens Gary Greene in Houston, TX (www.garygreene.com). Both brokerages have long-term relationships with Terabitz, and with the ongoing support of the Terabitz development team, have continued to improve their platforms over the years to better compete against both national portals and other local brokerages. As real estate brokerages continue to digest the future impact of the Zip Realty acquisition by Realogy and the merger of Zillow and Trulia, one thing is clear: Online consumer engagement continues to drive industry innovation. Silicon Valley veteran, Ashfaq Munshi, founded Terabitz in 2006. Munshi believed that national portals would eventually dominate, and the local brokerage, with its local expertise, would have to be given better tools to more effectively compete. Terabitz is a technology company located in the heart of Silicon Valley founded by tech industry veteran and real estate consumer Ashfaq Munshi. Terabitz is focused on helping brokerage clients be more competitive with the large real estate portals so that brokers view their web platform as a profit center that drives and engages an ever more savvy internet consumer. For more information about Terabitz, please visit www.terabitz.com. PCMS Consulting provides real estate brokerage services that transform their clients into market leaders and proven profit centers. They offer franchise solutions without the franchise fees. Their real estate solutions are available à la carte – brokers only only pay for what they want to use. For more information on their technology products and real estate consulting services, visit their website www.pcmsconsulting.com. Pop Quiz! True or False, Hyperlocal Will Help Your Business. If you read our REinvent Blog regularly, you know that we are always talking about ways to engage with consumers. We also believe there is a huge opportunity for real estate agents and brokerages who can get consumers to think about them even before they are ready to make a move. A hyperlocal focus on your real estate website is incredibly important to the long-term health of your site…and your business. So what is hyperlocal? Wikipedia tells us that it’s information oriented around a well defined community with its primary focus directed toward the concerns of its residents. In other words, it’s targeted local content that helps consumers. These are YOUR consumers we’re talking about. Those same consumers that frequently find Zulia and its brethren online before they find you. Residential real estate is a uniquely LOCAL business model. Consumer online searches should find YOUR real estate website, not a national portal. If you put the right focus and commitment to hyperlocal, then you’re offering something the large, faceless, national real estate portals do not. Namely trust, authority and long-term commitment to the local communities you work in. This is exactly what homeowners – past, present and future – deeply desire. Their home is the biggest investment of their life; a national portal can’t offer the care and certainty your local real estate company can. You keep consumers engaged with your real estate company, even when they aren’t thinking about moving. Is hyperlocal a tough task? Not really… it just requires a different mindset. Most of us are already there, in some capacity. But instead of it being a throwaway on your real estate website (standard, generic information on schools and neighborhoods, etc) it takes center stage. Refine what you’ve already started, and make your online brand stand out. Where do you start? Don’t think of yourself as a real estate broker or real estate agent… all that does is simply imply a transaction and a commission. Redefine yourself as the local authority on the communities you serve. Do this by providing in-depth knowledge: drill down to the local level on each neighborhood you actively work in. This is about proving your expertise in the communities you operate in. Provide resources and information about these communities on your website, and update it frequently. Simply put, provide value. We have a very successful broker friend/client who describes himself as someone who is in the business or marketing real estate. He doesn’t even use the word brokerage. That is awesome and a big reason why he has profitably grown leaps and bounds in recent years. That said, we think hyperlocal thinking should go even beyond that. And we’ll be talking about that next week. PCMS often looks to other industries’ innovations to get real estate professionals thinking about how certain concepts can be applied to their own business. Starbucks is a particular favorite to glean ideas from. Isn’t great that you can go relax, listen to music, use their Wifi, have meetings? It’s a consistent, pleasing experience marketed around a $2 or $3 product. What are you doing create a consistent, pleasing experience that proves you are the company/agent to do business with? How about the set of consumers? As you well know, real estate is not one size fits all. Because of that, as a marketer, you have to define what you are doing for each set of consumers, depending on whether they are first time homebuyers or investors. This requires different hyperlocal strategies to reach the consumer you are targeting. Your marketing on behalf of your clients. What are their expectations as buyers? As sellers? Furthermore, what are their expectations based on their demographic? Hyperlocal marketing is the key to you being able to differentiate from the nationals and your local competitors that are stuck in the past. It’s important to the health of your real estate website, and helps build your brand’s authority online to consumers. We established last week that: Hyperlocal = Helping consumers = Staying engaged = Building authority = Increased business. What if you were the central resource to consumers regarding anything to do with their home for as long as they owned it? Imagine your office not as the traditional real estate office with a maze of cubicles, agents, and desks. What if it was a laid back, cozy place to find out about home improvement tips, interior design ideas, neighborhood information, gardening seminars, etc.? Imagine a focus on community management. Where at this improved, friendly, real estate office…agents weren’t front and center? What if you could provide a stress and pressure-free environment for consumers, where they can visit right off the street (or at your website) and feel comfortable investigating a wide variety of topics relevant to their home and neighborhood? What if consumers registered with your brokerage (maybe sponsored by an agent) for special offers? What if you could drive as many offline leads in this way as the online leads everyone is spending so much money on? Wouldn’t homeowners coming to your place on a regular basis be a much more valuable? Eventually they’ll sell their home, or have a friend or family member that needs an agent. If you’re their local go-to knowledgebase, you’ll be top-the-mind once they’re back in the market. What if you combined this amazing space with relevant and valuable information you sent them online on a regular basis? Just think about how powerful that would be! A truly integrated hyperlocal approach, dedicated to assisting consumers in all stages of their homeownership would be a valuable generator for new leads, referrals and resales. All while meeting (and exceeding!) the growing client service expectations of modern consumers. Terabitz solidifies position as leading boutique web developer for real estate brokerages. Los Altos Hills, CA (November 5, 2014) Terabitz, the leading web marketing platform developer for real estate brokerages, wholesale nfl jerseys announces two new real estate websites. Smith and Associates of Tampa, FL (www.smithandassociates.com) and Laffey Fine Homes of Long Island, NY (www.laffey.com). Both real estate brokerages picked Terabitz for their combination of a robust technology backbone and customizable, full-featured marketing outreach tools for agents and their clients. Laffey Fine Home of Long Island chose Terabitz because the boutique web developer had the know-how and experience to take their real estate website world! and turn it into a more consumer-friendly, revenue-driving online marketing platform. While their website was already ranked number commentaire one in the Long Island market, its prior web developer was incapable of further developing their website to keep pace with current technology trends nor broaden their online brand’s footprint. Terabitz offers three separate starter packages that then provide the foundation for brokerages to build their custom online marketing platform. These packages vary based on layout parameters, depth and complexity of the IDX search, and the Award amount Bag of customization. One major differentiator is Terabitz’ neighborhood search feature. Neighborhood search creates multiple map layers that enables consumers to drill down and receive specific information based on the neighborhood they want to live in. Terabitz was founded in 2006 by Ashfaq Munshi. Munshi is a Silicon Valley veteran who realized early on that local real estate brokerages would need powerful online marketing tools to help combat the footprint left by national real estate portals like Trulia and Zillow. Munshi founded Terabitz with the intention of providing state-of-the-art real estate home search, real estate lead management, and online marketing modules. Terabitz quickly caught the attention of brokerages looking for the technology and service that out-of-the-box, templated website vendors couldn’t offer. Since 2006, the company has continued to innovate. 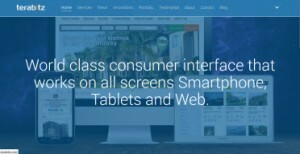 It recently introduced its unique mobile home search platform, HouseTouch℠, which was specifically designed for tablets and smart phones. Other new technology developments include its CRM and marketing analytics platform, Teraleads. ABOUT TERABITZTerabitz is a technology company located in the heart of Silicon Valley founded by tech industry veteran and real estate consumer Ashfaq cheap jerseys Munshi. 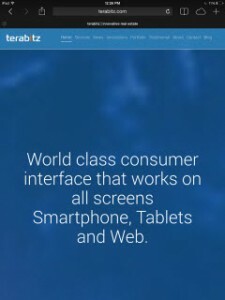 Terabitz is focused on helping brokerage clients be more competitive with the large real estate portals so that brokers Web view their web platform as a profit center that drives and engages an ever more savvy internet consumer. ABOUT PCMSPCMS Consulting provides real estate brokerage services that transform their clients into market leaders and proven profit centers. Their unique platform offers franchise solutions without the franchise fees. Their real estate solutions are available à la carte – brokers only only pay for what they want to use. Los Altos, CA (November 14, 2014) Southern Californian brokerage, CENTURY 21 Award, was presented the RISMedia Tech Titan Award at the RISMedia Power Broker Dinner during the National Association of Realtors conference November 8 in New Orleans. New lifestyle search integrated with Pinterest. Using lifestyle search with this popular social channel, clients are exposed to a robust amount of information and are able to share with their family and design friends. Pinterest integration also provides another method for agents to learn what best suits their clients. Century 21 Award is a Southern California real estate brokerage providing residential real estate, investment and commercial properties, property management, and relocation services. They have 15 locations with over 900 agents. The company earned the #1 CENTURY 21 Worldwide award for 2003-2010. Visit www.century21award.com to experience their award-winning website. PCMS Consulting provides real estate brokerage services that transform their clients into market leaders and proven profit centers. Their unique platform offers franchise solutions without the franchise fees. Sivilisaatiomme Their real estate solutions are available à la carte – brokers only only pay for what they want to use.